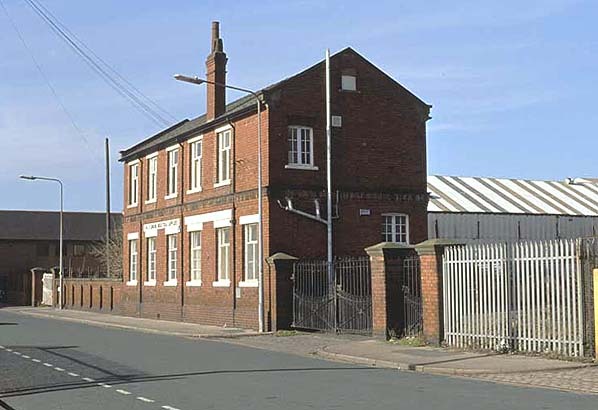 Present state: In May 2005 Cannon Street station site is being redeveloped as a 'Motor Vehicle Fabrication and Welding' training facility site for Hull College. 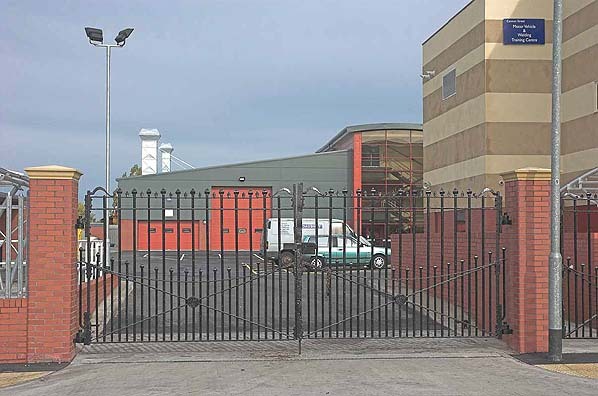 One set of wrought iron gates with the 'H&BRY' legend is in use as a site entrance, the other set (shown in the photograph below) have now disappeared, as have the goods offices shown below. 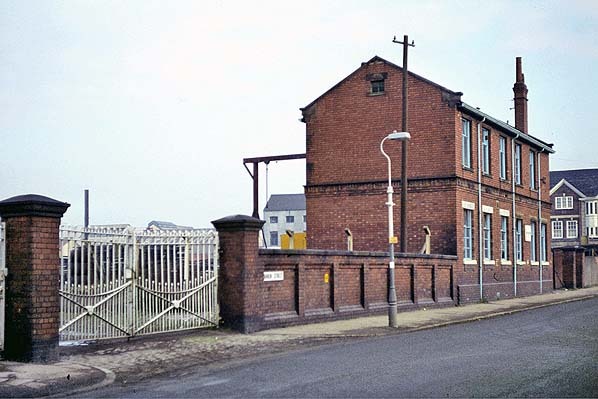 Notes: This was the Hull terminus of the railway, originally the passenger terminus was to have been 1/4 mile south on Charlotte Street but due to financial problems what had been intended as a carriage shed was quickly adapted for passenger use. 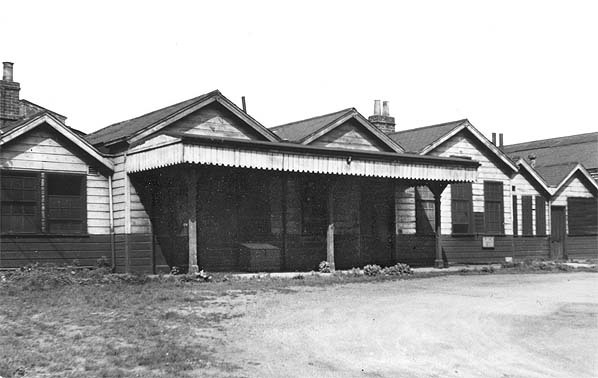 The station was closed in 1924 when services were diverted into Hull Paragon station. 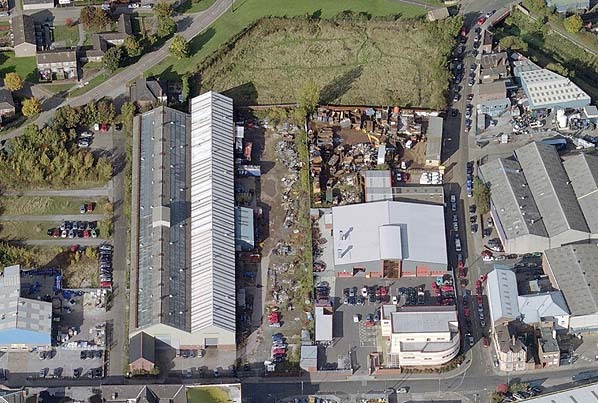 The site is now used for industrial storage. No other building survive other than those shown. Sections of the embankment leading north from the station remain. GGoole had risen from nowhere as a port on the Ouse with the creation of the Knottingley to Goole Canal in 1826 by the Aire & Calder Canal Company; the port, built to generous specifications, rapidly gained inward and outward trade – much to the chagrin of Hull - and spurred the development of the extension of the Leeds & Selby Railway to Hull which opened in 1840 and became part of the North Eastern Railway (NER) in 1854. 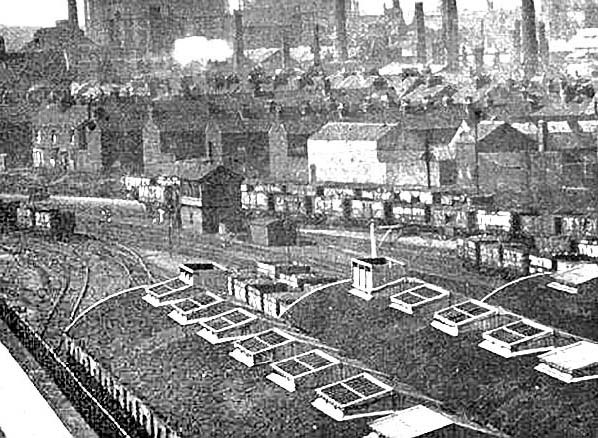 Additionally the NER, which had a monopoly on rail transport to Hull, prevented other rail companies from investing there, so Goole gained its own railway; this was the Wakefield, Pontefract & Goole Railway (later part of the Lancashire & Yorkshire Railway) in 1848. 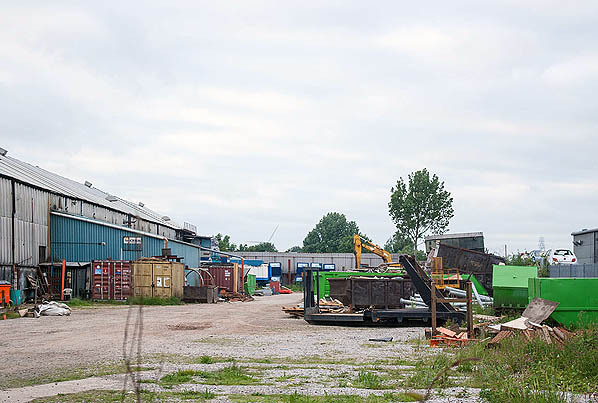 A custom-built railway dock and the use of specialised coal barges and unloading facilities, as well as the backing of the Aire & Calder Canal Company, made it a viable competitor with Hull for trade. 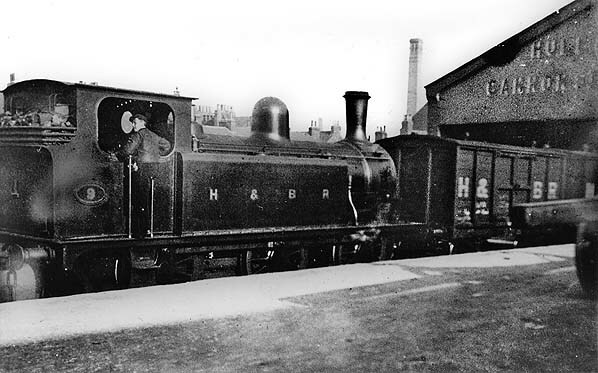 Pre-grpuping view of H & B loco No 9 at Hull Cannon Street. 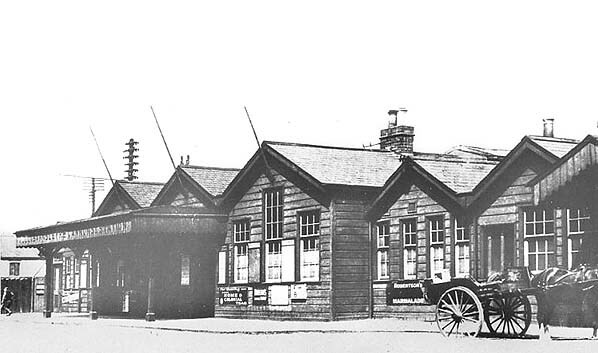 This is the goods depot rather than the passenger station. No 9 was built by Beyer Peacock and Co, between 1884 and 1885 and was intended for shunting duties. They were originally class A but later reclassified to class G1. 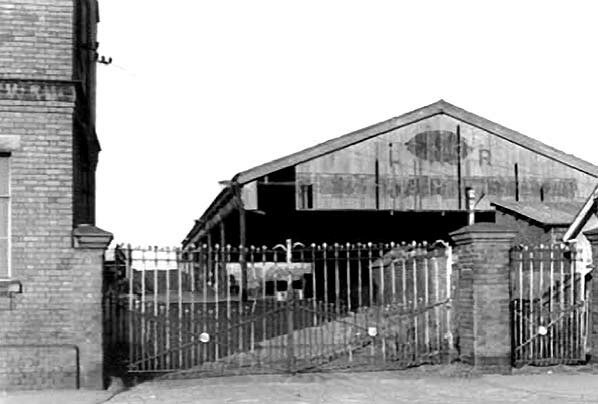 1928 1:2500 OD OS map; by this date the station had closed to passengers and had been incorporated into the existing goods depot - click here fror a larger version. Hull Cannon Street station forecourt in c1924 showing the wooden buildings at the passenger entrance to the station. Hull Cannon Street station from above. Hull Cannon Street station exterior in 1949. 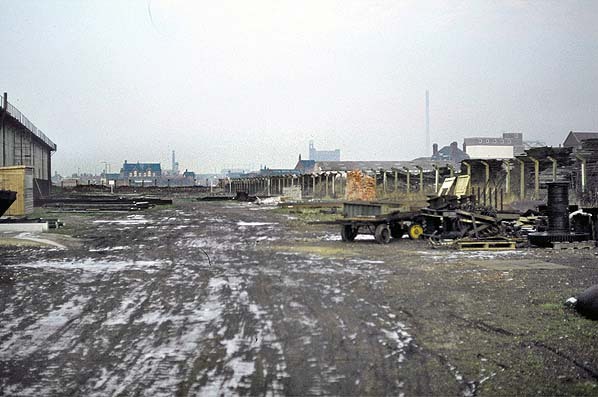 Hull Cannon Street goods depot which was adjacent to the passenger terminus, c1970. Hull Cannon Street station entrance and adjacent goods office in January 1979. Looking north at the site of Hull Cannon Street station in January 1979.
the gates to the station site still bear the H&BRY legend. The site of Hull Cannon Street goods depot in October 2005. A set of the wrought iron gates with 'H&BRy' legend have been reused, complete with replica brick pillars as the main entrance. 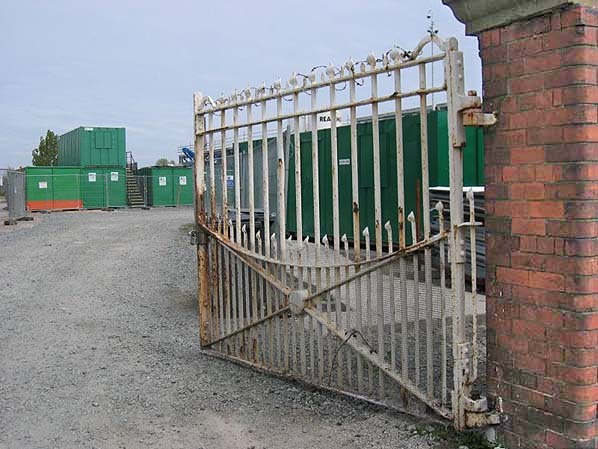 One of the original entrance gates to the station are still in place in October 2005. 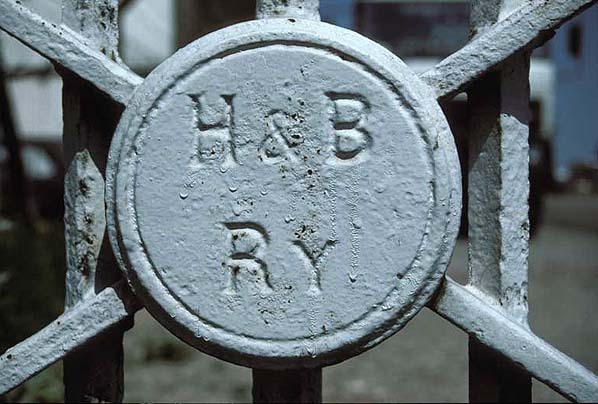 The gate still bear the H&BRY legend. The site of Hull Cannon Street station looking north in June 2014.